The district of Laborie has a rich and varied cultural heritage stretching well over a thousand years. It encompasses the Amerindians (sometimes known as the Arawaks, or Caribs), the European settlers and colonists from France, Spain and Great Britain, the enslaved African peoples brought in to work the estates, the East Indian indentured workers and today's globalized citizens of the world. Laborians establish themselves everywhere and people from everywhere make the shores of Laborie their home. 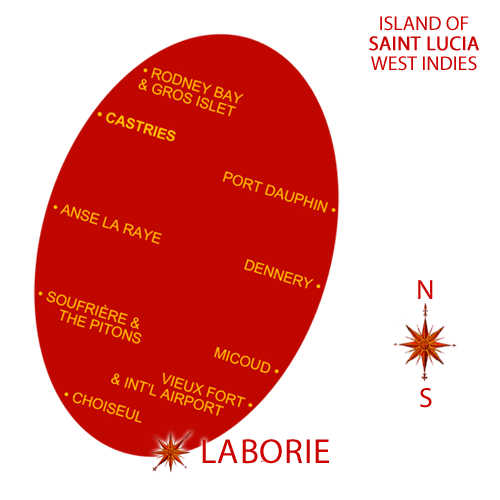 Each of these influences is now woven into Laborie's vibrant West Indian culture. The traditions from this unique cultural heritage are visible everywhere. It is how people live and talk - the French-based Kwéyòl language is alive and well here, spoken everyday along with the English language. It is the architecture of the homes, the food and drinks, the festivals celebrated throughout the year, the music and the arts... and the faces of the people! The name Laborie comes from Jean Zénon André de Véron, Baron de Laborie, Lieutenant-Governor of Saint-Lucia between 1784 and 1789. The village was first known as "L’Islet à Caret", or "L'Anse Kawet", after the sea turtles that use to nest in the bay. Legend says that the Baron made a large personal donation to the village, helping to restaure the church, following a devastating hurricane that also wiped-out the turtle's coral-reef island in the bay. For a short while during the French revolution's troubles on island, the village was referred to as "La Patriote" by Saint Lucia's own revolutionaries. Laborie, as a surname, might derive from a "Borie", a word from the Occitan dialect from southern France. It is meant for a dry shed, made of stocked-up rocks, in remote parts of the land, where farm workers would keep their farming equipment, their harvest, their animals and sometimes themselves, for protection against the elements. To this day, it is not uncommon to meet people named Laborie, sometimes spelled Laborit, wether in France, French-speaking places, or people with French origins. Before the arrival of Europeans in the early 1600’s, the district of Laborie had been home to different groups of Amerindians, as evidenced by artifacts found in various locations. Arawak artifacts such as zemis and pottery have been found in the Black Bay area and there are intriguing rock basins and petroglyphs in some inland locations. The deep bays of the district with their reef-protected shores provided attractive locations for human habitation. It is likely that the first European settlers of the village now known as Laborie were the French, in the 1700's. In 1763, under the French old regime, there were perhaps a dozen houses in the small community known as "L'Islet à Caret", nestled along a sheltered bay on the south west corner of St Lucia. The name was French for 'Turtle Island', so named after the loggerhead turtle (Caretta Caretta) that came to nest on the beaches and the sandy, reefy island that once existed in the bay. Shortly after, sugarcane was introduced in addition to the existing crops of cocoa, coffee and cotton. Laborie became an independent parish in 1765. By 1775 more houses had appeared along with the first church and 81 estates throughout the quarter had been aloted to French settlers, some of whose names live on in the names of the small communities such as Augier, Banse, etc. The population in 1769 was listed as 91 whites, 12 'free coloureds', and 609 Negroes (these figures do not include women or children). In those days, 'free coloureds' people referred to 'gens de couleur', or the offspring of mixed-race relationships. In Creole, they were called 'mestif'. 'Gens de couleur' could own property, such as slaves. By 1780, Laborie was one of the main settlements in Saint Lucia, supporting the second largest population after Soufriere. The descendents of some of these first settlers still live here including members of the Roland, Joyeux, Alexander and Carasco families. In October 1780, a devastating hurricane hit Saint Lucia and destroyed most of the buildings and crops on the island. That hurricane, thought to be the worst in Saint Lucia’s recorded history, also swept away the little island in the bay but the Kwéyòl name and identity of Anse Kawet (Bay of the Turtles) is still alive in the culture and lore of the area. By 1789, the village was renamed Laborie in honor of Baron Jean Zénon André de Véron de Laborie, French Governor of Saint Lucia from 1784 to his death in 1789, for his efforts on behalf of the white residents to reinstate Laborie as a separate parish, and for the restauration of its church. The village briefly had one other name, ‘La Patriote’, in 1796-7. This was during the turbulent months when the French Revolution reached the Caribbean sea. During that time former slaves/freedom fighters known as ‘nèg mawon’ - Maroons (or Brigands) - along with their French Republican allies, controlled much of Saint Lucia from secret hideouts around the island until the British finally crushed the rebellion and returned the island to slavery for another three decades. As with many things, this period in time has been viewed very differently depending on the perspective. Some labelled that period "The Reign of Terror", and historian Rev. C. Jesse referred to the Brigands as "slaves, demagogues, virulent Republicans". But historian and author Robert Devaux wrote: "I see the Brigand as a true freedom fighter –a guerrilla warrior- and I would like to convert the derogatory label "Brigand" into an honourable and proud word and, if possible, remove the stigma historians have attached to the "Nèg mawon" ("black maroons") of our story." Throughout the 1800's and early 1900's daily life in the district didn't see great changes. Most people lived inland, ‘in the country’ on the land where they farmed, and came down into Laborie Village on the weekends for market day and church. The other main activity revolved around fishing. Many Laborians went abroad in search of education and/or work to destinations such as the UK, Panama, Cayenne and British Guiana, Canada or the United States. Roads were either non-existent or difficult so most travel and commerce to other communities or to the capital of Castries took place by boat. The Beanfield Air Force Base, an airfield built during the second World War, was staffed with soldiers and airmen from the United States and brought temporarily some employment and prosperity to the Laborie and Vieux Fort arean (the old airfield was enventually transformed, in the 1970's, into Saint Lucia's Hewanorra International airport). Some of the infrastructures built during that time still survive, such as some concrete pillboxes along the coast between Vieux Fort and Laborie, roads and some buildings. The former public hospital in the south, in Black Bay, was initially built during that time. Yet, by the end of the second World War, Laborie was still not connected to any electricity grid, and neither did it received pipe-borne water. In the 1950's, United States' Forces based in the Caribbean built a radar station at Morne Le Blanc, in Laborie. In order to supply their radar station, they also built and improved infrastructures, such as improved road access, from Vieux Fort to Laborie, and up to the Morne (the former radar station is now a park, managed by Laborie's ECHO-Lab, and open to all). By now, while much remain to do, Laborie is a modern village. Most have piped water and electricity, many have cable TV and the Internet. Just like anywhere else in the world, you'll notice many teenagers that can barely be distracted away from there smartphones. Dame Louisy is the first woman to hold this office, which she was sworn into on 19 September 1997. 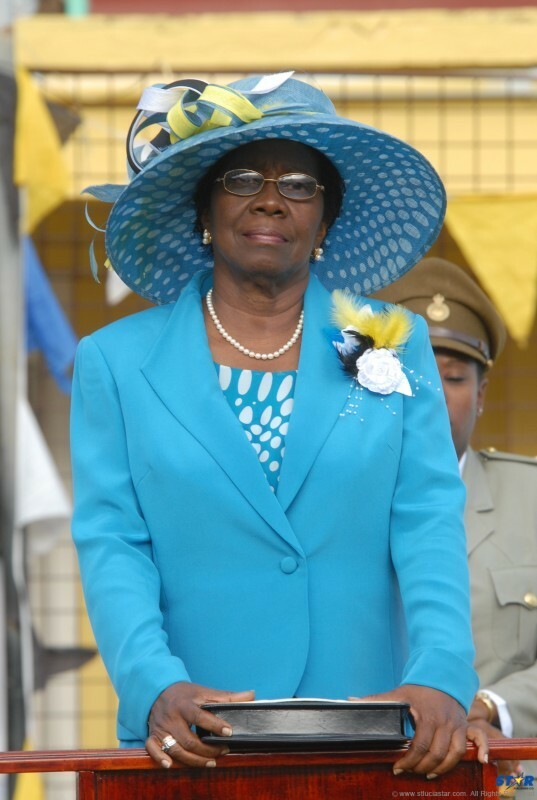 Her Excellency has contributed significantly to the development of Education in Saint Lucia, having spent most of her professional life in the teaching profession. In 1999, Queen Elizabeth II conferred on her the title of Dame Grand Cross of the Order of St Michael and St George. Sir Louisy has been awarded the Knight Commander of the Distinguished Order of St. Michael and St. George (KCCGM) by the Queen in the 2005 Honours List. This Laborian, who contributed to the improvement of lives in Laborie, passed on 2 March, 2011. Folk violonist - but also a well-known banjo, guitar, cuatro and chak chak player, and a 3-times winner of the national violins competition. Mr. Siméon passed at 77 years-old on 2 November, 2011. 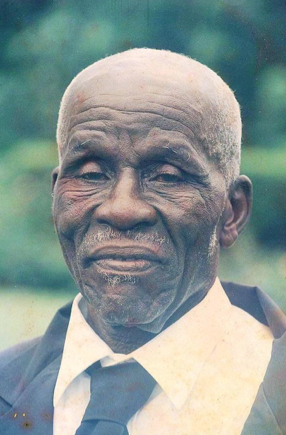 Mr. Jules Joseph affectionately known as Mr. Clifton or Doo-Doo hails from the community of Piaye, Laborie. He was born on December 12, 1919 and passed on January 11, 2015. As a ten year old, he was initiated into the African culture, particularly the songs and dances. He learnt the art from listening and watching various community groups from Mac Diarmed and Grace during their excursions to Piaye; and later accompanied the Piaye group on outtings to these communities. As a prolific dancer, he is credited for ensuring that the ‘Kutumba’ and the other African dances were passed on from generation to generation. His repertoire of Afrcian songs augurs well for the sustainability of the art form. 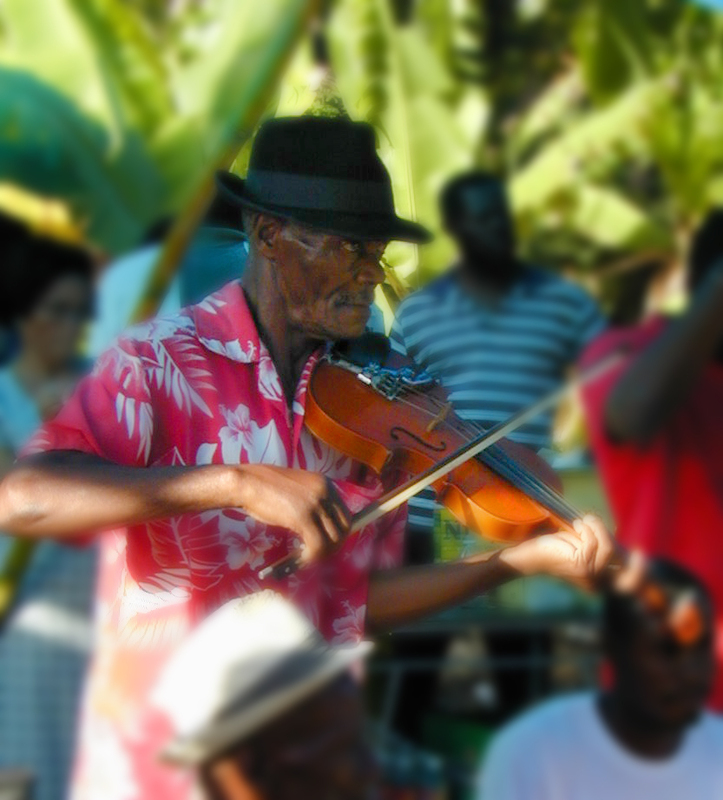 He has taught those skills to students and other interested groups throughout the island; and performed at various hotels. He was part of a Saint Lucian group participating in a cultural festival in Quebec, Canada, where he fulfilled his dream of showcasing the richness of Saint Lucia’s culture. He has also represented the island at other festivals in Cayenne, Dominica and Martinique. 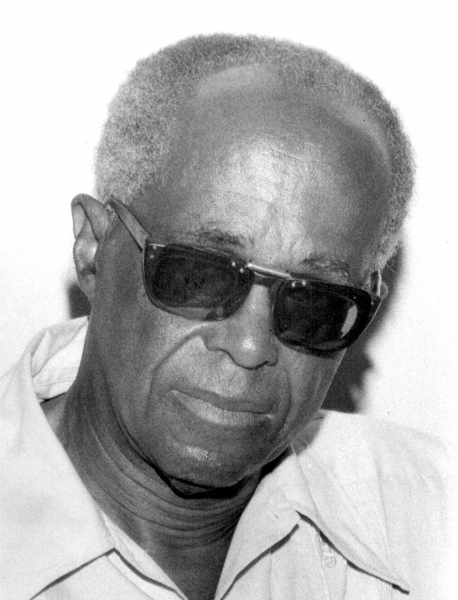 Mr. Joseph was the recipient of many awards including the M & C Fine Arts Folk Award in 1992, the Saint Lucia Medal of merit (SLMM) in 2000 for his contributions and the Piaye Cultural Group Award for a life of dedication to Saint Lucian Folk Culture. 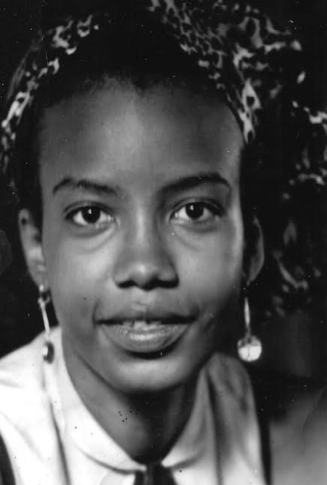 Rosamunde Duke-Renard was born and raised in Guyana, lived and studied in France, Trinidad and Guadeloupe, and at the end of 1979 moved to Saint Lucia, where she and her husband Yves settled in Laborie, a community she loved, a community that gave her so much love. Raising children was her passion; raising her own children of course, Djamal, David and Lisa, but also helping and supporting other parents, with her belief that the dignity and worth of each child have to be respected and nurtured, that all children have potential and must be given a chance, and that the early years of life are absolutely crucial to realise that potential. It is with that passion that she and other parents created the Laborie Community Education Centre (LABCEC), where she researched and piloted new and progressive methods, where she gave as much attention to parenting with mothers and fathers as she gave to teaching and playing with children, where parents paid fees that were proportional to their income, and from where she helped other communities to establish and run similar early childhood education centres. It is a tribute to her work and to that of the other pre-school educators with whom she worked since the mid-1980s that some of the methods they advocated then, at times facing the indifference, even the hostility, of the people and institutions they were challenging, have now been formally incorporated in the curriculum and that there is a policy commitment to universal early childhood education in Saint Lucia. Rosamunde was also a historian, who has published on the social history of Guadeloupe and Martinique, and she shared her knowledge of Caribbean history with her students at the Vieux Fort Senior Comprehensive Secondary School. As with her later work on early childhood education, she did not merely follow the textbooks and the rules, she invented them. Taking the opportunity of the CXC syllabus, she worked with a group of students on the history of the sugar industry in Vieux Fort, she conducted her own research, and she evaluated the CXC History Curriculum. As we approach the commemoration of Emancipation on 1 August, it is also good to remember what she did to raise awareness of the significance of that date. When she first came to Saint Lucia, she was saddened to hear that most people celebrated “August Monday” as a bank holiday without knowing why it was a holiday. In order to help change that, one of the projects she did, 30 years ago, was to organise a koudmen at the Bellevue sugar mill in Vieux Fort, with students, teachers, parents and civil society activists, to stress the need to understand and respect local history and the place of slavery within it. Rosamunde was passionate in all that she did, a passion for the Caribbean and its children that was so strong that it may have contributed to her illness, but a passion that has left a very positive mark on the lives of many people. 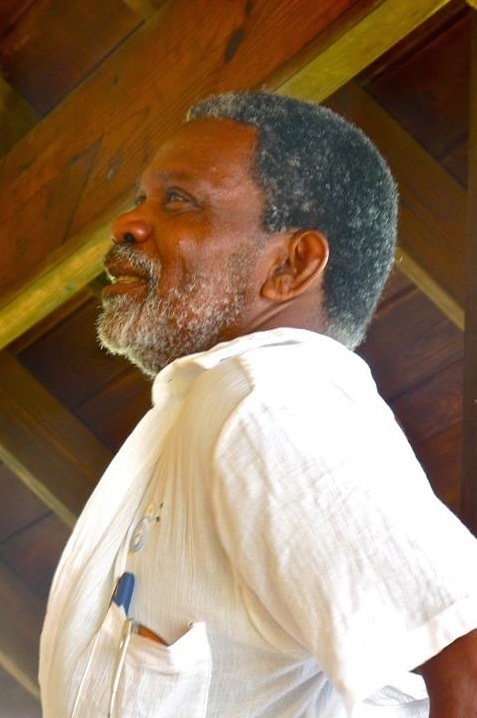 Mr. Augustin Barthelmy, also known as Jah Bwoy, Joe Bom, Mango tin and Papa, was born on 14 April, 1952, in Laborie. He attended the Laborie Boy’s Primary School and Vieux-Fort Senior Secondary School where he played football and cricket. He was the captain of the cricket and football teams. Mr. Barthelmy has held different jobs. He started working in 1971 and retired in 2007. He was a bailiff in court, a sub-collector, an accountant and a musician. He played the drums, with a band called ‘Symphonites’. He also played the base guitar and the cuatro. The latter was a skill taught to him by Mr. Frank Noville. Other than his love for music, Mr. Barthelmy also had a love for his community. This affection manifested in becoming a founder of Labowi Promotions along with his comrades Mr. Yves Renard and Mr. Len Leonce. Labowi Promotions is a not-for-profit community-based organization of Laborie. It was established on November 11, 1991. The group's main objective is to promote genuine community development through arts and culture, by bringing quality cultural performances to the south of Saint Lucia and by improving the skills and visibility of local artists and performers. Additionally, he served as a board member of the Laborie Cooperative Credit Union. His advice to the young persons of the community was to use their timely wisely. He suggested that positive goals and objectives be set and achieved as the young plays an essential role in community development. Mr. Augustin Barthelmy departed this life on 26 December, 2015.